Potter's Lawn & Landscaping fully appreciates the essential services trees provide within our environment. The life they support cleans the atmosphere of pollutants and feeds it with moisture. Trees help regulate our climate, offer shading from sunlight and protection from storms. Our trees are invaluable. Tree's often need to be trimmed in order to remove dead branches, canopy control or pruned for clearance. These tasks can be dangerous for someone lacking experience or the proper equipment. Rather than risk personal injury, or other problems arising let Potter's Lawn & Landscaping handle all of your tree care needs. We are licensed and insured, and never hire contractors. Our tree crew is experienced, and understand the importance of safety. Sometimes trimming or pruning a tree isn’t just enough, and it is necessary for the tree to be removed. This is no easy task, and if you hire an unlicensed company you are liable for any damage that they cause to your property or themselves. We can do quick, clean, and price-efficient tree removals. 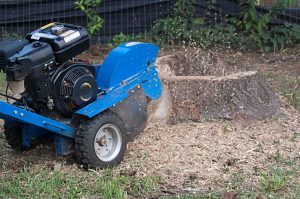 We clean-up and remove all debris and follow up with stump removal as necessary. 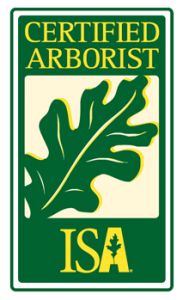 Potter's Lawn & Landscaping's certified arborists will evaluate your trees and devise a strategy that is right for your property goals. Potter's Lawn & Landscaping owns and operates two tree nurseries, located in Parkland and Boynton Beach. 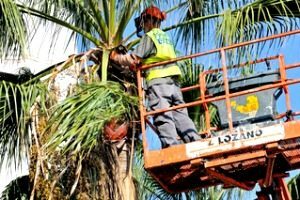 We grow a variety of native and exotic trees and palms for installations. Our education in trees ensures the correct tree selection and location to enable future growth success. Have questions or need an estimate? Give us a call today! Or send a message and we will get back to you within 24 hours.